ATC is AROUND THE CLOCK Healthcare Services. We provide unique job opportunities for nurses and allied health staff in all types of medical and community settings. Our goal is to provide fulfilling and rewarding assignments for our employees and to help our medical and social services clients focus on their mission of providing quality patient or resident care. ATC has been a leader in medical staffing in Pittsburgh since 1996. For 20 years, we have been providing rewarding employment opportunities for licensed healthcare professionals, direct care staff, and medical administrative personnel in a variety of clinical and residential settings, hospitals, nursing homes, LTACs, physician offices, clinics, home health and hospice, ICFMR facilities, residential group homes, prisons, and more. 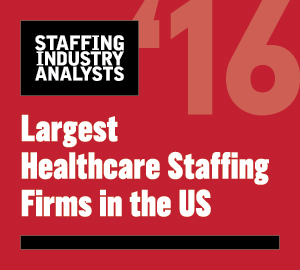 Staffing…wherever healthcare is provided. We provide temporary and permanent staff that hospitals, clinics, private practices, long-term facilities and other healthcare organizations need every day. Having achieved success in the growth and commitment to healthcare staff placement, we put the most qualified candidates in the right positions. We answer the need for nurses, physicians and other healthcare professionals throughout Pittsburgh’s leading hospitals and facilities. ATC Pittsburgh was awarded a Certificate of Distinction for Health Care Staffing by The Joint Commission, based on a review of compliance with national standards on May 2, 2017. Are you a Health Professional and do you want to choose flexible shifts or hours? We serve hospitals, clinics, private practices, long term care facilities and other healthcare organizations every single day. Every week, we offer hundreds of shifts from which our RNs, LPNs, Nurse Aides and other employees can choose. Are you a Health Professional who wants a longer term assignment? In collaboration with our ATC Traveler partners, the ATC Pittsburgh office recruits and places Registered Nurses in Travel Nursing assignments throughout the US. We make it easy for you to work locally or nationally.